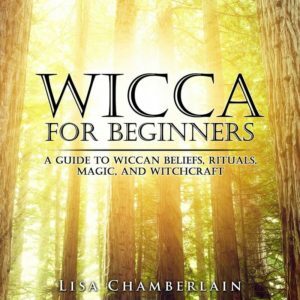 One of the most beautiful and widely-celebrated aspects of Wicca, particularly in comparison to almost every other religion to come out of the last few thousand years, is its equal emphasis on the feminine and masculine. This gender polarity is reflected in the Wiccan Goddess and God, with both deities having equal status. While individual covens and solitary practitioners may have specific names for their deities, these names are usually closely guarded secrets, and so it’s conventional to use “the God” and “the Goddess” when discussing the Wiccan deities generally. This pair represents the masculine and feminine energies inherent throughout creation—somewhat analogous to the yin and yang of Chinese and other Eastern belief systems—and may be represented in the likeness of human beings, or of animals, or other elements of nature. The Goddess and the God are honored at the altar during every Wiccan ritual, and often during magical work as well. The God and the Goddess can be seen as an expression of Wicca’s affinity with the pre-Christian pagan religions of Western Europe. Gerald Gardner, widely considered to be the founder of modern Wicca, based his coven on the worship of a Horned God and a Mother Goddess, both of which were common archetypes among the pantheons of ancient Celtic, Norse, Greek, Roman, and Egyptian civilizations. Two well-known examples include Cernunnos, a pan-Celtic god widely depicted with horns, and Gaia, the Greek Earth goddess who represented motherhood. As universal all-encompassing male and female energies, the Wiccan Goddess and God are understood to contain all of these individual aspects, so that the ancient deities still find themselves acknowledged and worshipped by many of today’s Wiccans. More traditionalist Wiccans will see these individual gods and goddesses as “lesser” aspects of the God and Goddess, who are the supreme deities. More eclectic practitioners, on the other hand, may not recognize a strict hierarchy, and may even be more polytheistic, meaning that for them, the individual deities exist on their own, in addition to the Wiccan Goddess and God. 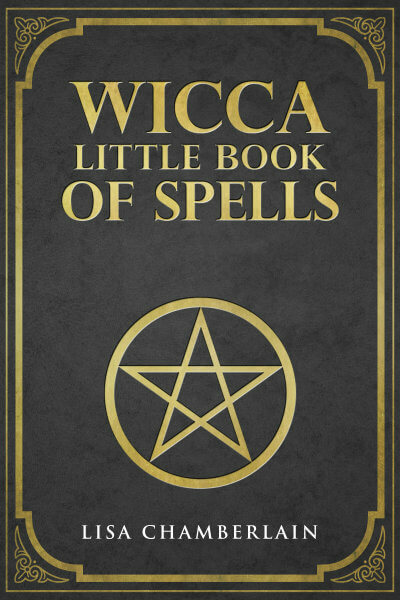 But whatever an individual Wiccan’s relationship may be with any ancient deities, when it comes to the God and Goddess, there are plenty of associations and traditions that most Wiccans hold in common. As the masculine half of the all-encompassing life force, the God is usually represented in association with either the horned animals of the forest, or the Sun. In his guise as the God of the Hunt, he may appear as a man wearing a headdress with horns or antlers, or even with the head of a stag or a goat. His role here is two-fold, as he assists humans in their need for sustenance in the form of wild game, but at the same time protects the animals in the wild, ensuring the delicate balance of life on Earth. In the earliest forms of Wicca, the Horned God had a strong association with fertility, and this is still the case in some traditions today. In addition to the Celtic Cernunnos, the Horned God might be represented by the Greek god Pan, the English mythological figure Herne, or the Welsh god Bran, among others. A related representation is the Green Man, a mysterious ancient archetype found around the world, and depicted widely throughout Europe as a human face either composed of, or surrounded by, vines, leafy branches, or other images of foliage. The God’s other chief association is with the Sun, whose strong light is considered to be an aspect of male energy, and which is necessary for the growth of all life. Many ancient cultures worshipped a Sky Father and an Earth Mother in one guise or another, which modern-day Wicca emulates to a certain degree. The mythology of the Wiccan Wheel of the Year revolves around the cyclical relationship between the God as the Sun and the Goddess as the Earth, with the God continually dying each Autumn and being reborn each Spring, growing strong throughout the Summer only to die again, echoing the growth cycles of plant life both in agriculture and in the wild. A few deities who typically represent the Sun God are the Celtic god Lugh, the Greek god Apollo, and the Egyptian god Ra. As the essence of the divine feminine, the Wiccan Goddess is associated with both the Earth and the Moon. As the Earth Mother, she represents the grounded, physical energy that allows all life to take root and flourish, and is associated with domesticated animals, fields and crops. Her energy is nurturing and tender, flexible and pliable as she makes possible the manifestation of all change. As both mother and partner of the God, her cycles of planting, growth, and death keep the Wheel of the Year turning, clearing away the old and bringing forth the new in the timeless cocreation between this divine pair. In addition to the Greek goddess Gaia, common aspects of the Goddess in her Earth Mother role include the Egyptian Isis and the Celtic Brighid. In her association with the Moon, the Wiccan Goddess rules the night and the ocean tides, as well as the reproductive cycles of women and the realm of the human psyche. In this watery element, she is associated with emotion and intuition—the yin energy to the God’s action-oriented yang energy—and the wisdom that comes from engaging with our shadow side. Anyone who has ever felt the mysterious effects of a Full Moon or even a New Moon has experienced the power of the Goddess. In her lunar role she may be represented by the Greek goddess Artemis, the Roman Diana, or the Celtic Cerridwen, among others. However, the Goddess’ association with the Moon is actually more complex than that of the God’s with the Sun, since the Moon has its own unique cycle in relationship with the Earth. This is where the Triple Goddess comes in—the Goddess as a three-fold deity with individual aspects that each represent a phase of the Moon. These are known as the Maiden, the Mother, and the Crone, and each role corresponds to a lunar phase—waxing, full, and waning—as well as a stage in the life of every woman. The Triple Goddess is a larger topic than there is room for in the scope of this article, so she has her own discussion here. The God and Goddess are represented on the Wiccan altar in a variety of ways, depending on the tradition of Wicca one follows, or even one’s own preferences. Common representations of the Wiccan God include candles in the colors of gold, red, orange, or yellow, as well as projective symbols such as horns, spears, swords, wands, or arrows. For the Wiccan Goddess, the colors green, silver, white, and black are often used, as well as receptive symbols such as the chalice and the cauldron, and symbols of abundance such as flowers and other vegetation. If you’re new to Wicca and looking to connect with the Goddess and God, you can try using some of these representations on your altar. However, the best way to get started, really, is to spend some time alone in Nature, and indicate to the divine pair that you’re ready to begin your relationship with them.